For the past 15 years, Wanderlust Adventures have been working with Arusha Children’s Trust, a Tanzania based NGO that actively and directly supports children from ages 6 through 15 years old in the Arusha and Rift Valley regions through enhancing education, improving health awareness, increasing knowledge of environmental conservation and upholding the culture and traditions of the people within the region. Neema Village, is a rescue center for abandoned, orphaned and at risk babies in Arusha, Tanzania, East Africa. Since 2012 more than two hundred babies, have been rescued and found a new family at Neema. That is what Neema is all about, making new happy families. 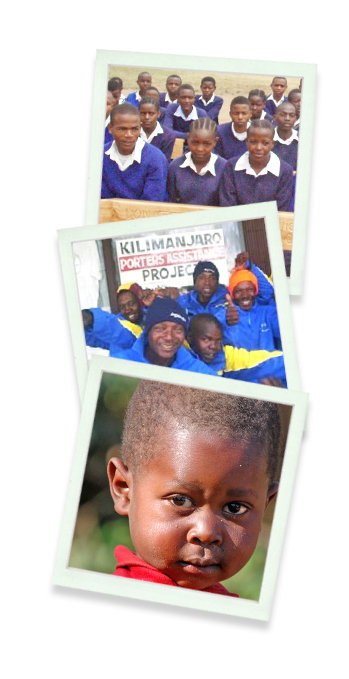 Wanderlust Adventures Inc is an approved responsible travel partner for Kilimanjaro Porter Assistance Project (KPAP), which supports porters carrying enormous loads up the mountain while wearing inadequate clothing in the extremely cold temperatures. Wanderlust Adventures pays its porters generously. We encourage our clients on climbs or safaris to bring new or gently used gear to be donated/distributed to these porters. Their meager salaries do not allow them to purchase hiking gear because they are generally expensive locally.